Today saw lots of exciting sites from Bethshan down to Samaria. This morning, we packed up and headed to Bethshan (called Bet-she’an). The most important area to the Bible scholar is probably the tell, where there was an ancient Israelite fortress. More notably, however, was that this was where the Philistines hung the bodies of Saul and his sons after their deaths on nearby Mt. Gilboa. 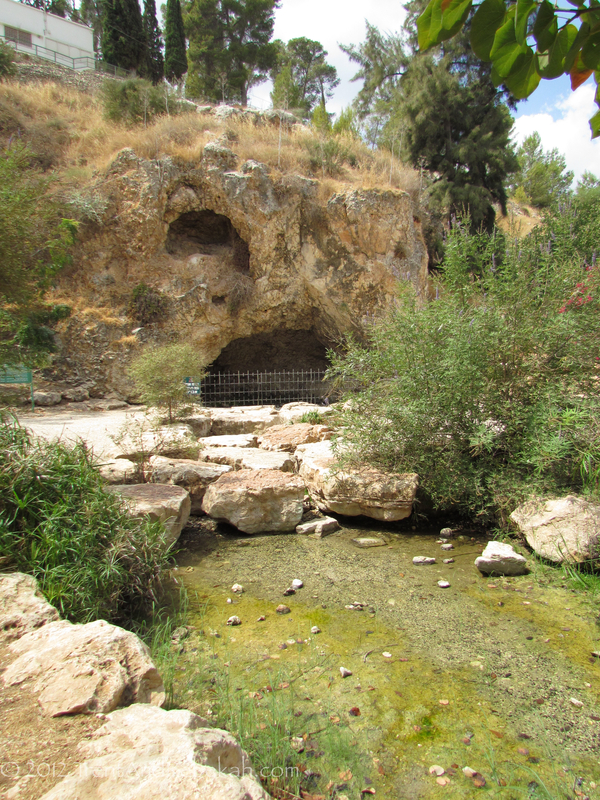 We had a pleasant stop at the Spring of Harod. 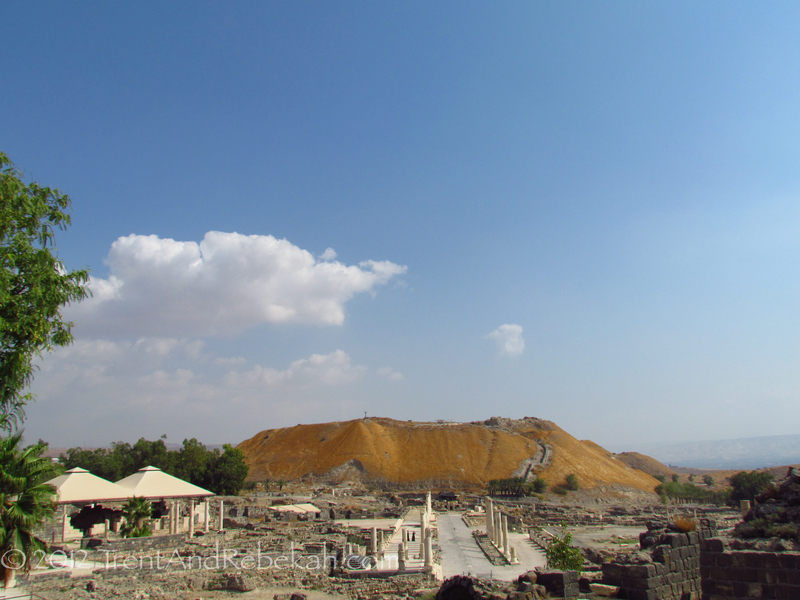 Gideon and his large army had encamped here while God sorted the army out. This was the spring in which God had Gideon administer the famous test to whittle the numbers down. The spring, however, is dry right now, so we will never know if I was cut out to be a warrior or not. I like to think I would, though. 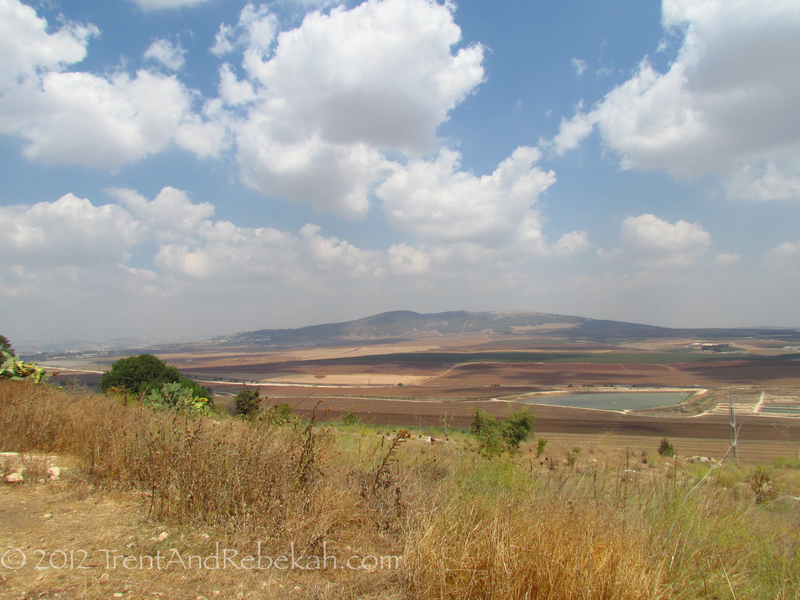 All along, we had beautiful views, especially from Jezreel, where Ahab and Jezebel had their palace. 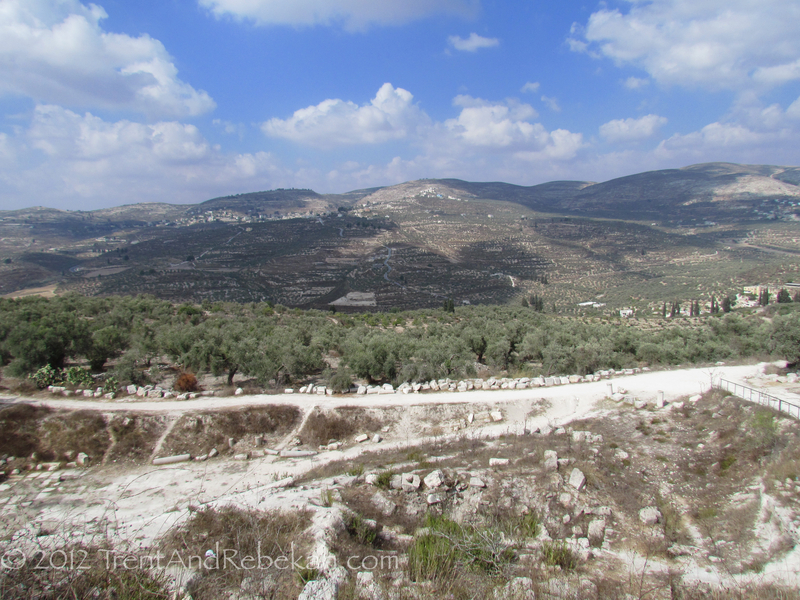 Naboth’s vineyard would have been nearby, and you could easily see the path that Elijah would have run on his sprint from Carmel. Jezebel would have been especially familiar with the terrain, since she had a rather speedy and permanent encounter with it (II Kings 9:30-37). We were fortunate to be able to cross over into the West Bank, as well. That was quite exciting. We stopped by the ancient site of Samaria first. When you stand on the hill and look around, Amos’ prophesy comes to mind–that Israel’s enemies would gather on the mountains to watch Samaria fall. It is actually nestled in the middle of an enormous natural theater, and on a terrible stage. Assyria destroyed Samaria and conquered the kingdom in 721 BC. Jacob’s Well was our last stop today, housed inside an exuberantly flamboyant Greek Orthodox building. 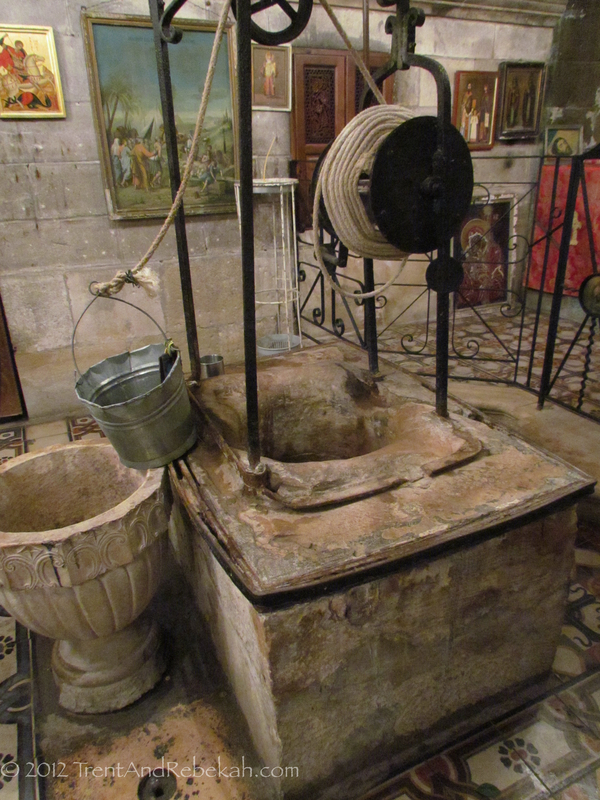 It was at a well like this that Jesus would have sat and conversed with the Samaritan woman about a water she could taste that would cause her to never thirst again. Our evening ended in Jerusalem, and so we hope to have more experiences to share tomorrow. This entry was posted on September 9, 2012 at 3:04 pm and is filed under Ancient History, Biblical Site. You can follow any responses to this entry through the RSS 2.0 feed. You can leave a response, or trackback from your own site. I fear I suffer from the thought, whenever I see photos of something like Jacob’s well: “Wait, no fair, Greek Orthodox people, that well is ‘ours!’ You can’t be building over it!” Good stuff. Thanks for sharing.